Water, Water Everywhere: How Much is Too Much? Some things about basic nutrition you already know—eat plenty of greens, fuel up on protein and drink at least 6 glasses of water a day. But did you know that water itself could be the culprit for the absence of essential vitamins and minerals that your body needs to thrive? When you spread your water consumption out throughout the day in an effort to avoid every feeling thirsty, you’ll be on top of the nutrition game. 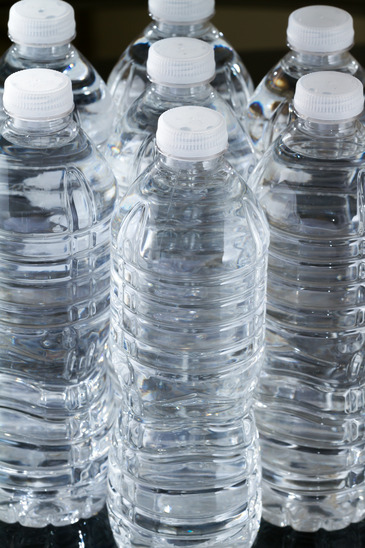 Here’s what to know about dehydration 411, and what to do about it. Your body depends on water, and since it’s made up of about 60 percent of water, it’s important that you treat hydration—and the risk of dehydration—seriously. Your body is losing water all of the time but most people underestimate this fact. Did you know that when you sweat, breathe and even go to the bathroom, you’re losing water? In order for your body to thrive, keep yourself well-nourished and hydrated. It’s the best defense against a weakened immune system, fatigue and even stress. 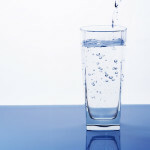 You may know about the classic, tried-and-true rule about water: drink 8-ounce glasses of water a day, but what you may not account for is how bogged down you get at work, or how long of a stretch you actually go without drinking any water at all. On the other hand, if you’re a water lover and find yourself drinking glass after glass of water, think about this: your over-the-top water consumption may be filling you up, causing you to feel ‘too full’ to eat a well-balanced, nutritious meal that your body needs. When you start with a big glass of water (before you have your morning cup of joe), then another one after breakfast, followed by a mid-morning, mid-afternoon, and dinnertime glass of water, you’re doing perfectly. 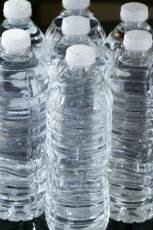 You don’t need to consume a gallon of water in the morning, at noon and at nighttime. Fill up on water AND high fiber, protein and healthy fats. By doing so, you’ll eliminate the ‘famished feeling’, blast the possibility of weight gain, and improve your overall mood, wellbeing and health. If you’re having a tough time getting on the ‘water drinking bandwagon,’ get creative about your water consumption. For example, jazz your water up with watermelon, apple or cucumber slices. Switch out plain old water for iced or hot tea (green tea is full of antioxidants too!) or eat fruits (and other water based foods) as a change of pace. When you do, you’ll find that it’s never been easier to maintain hydration and total body happiness!